We Have Consistently Provided Our Customers With Professional Service & Quality Products. 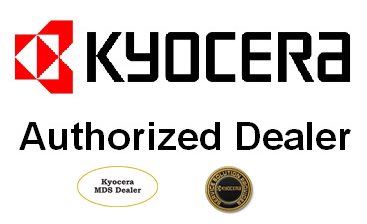 Since 1959, Kyocera has developed technologies that market value and solutions that facilitate human progress. We still have the family value of making "House Calls" the Old Fashion Way. OUR GOAL IS TO KEEP YOU WORKING WITHOUT WORRY! 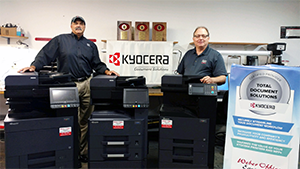 We are proud to serve Delaware County and surrounding areas with printing and document solutions that increase productivity and minimize cost and risk. 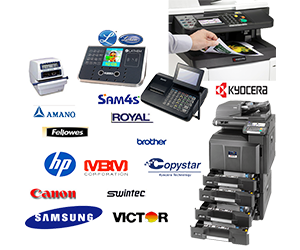 Our sales team with will work together with your staff to identify the best system most suitable to your business. Our friendly sales staff will be glad to answer any questions that you may have. We strive to provide same day service for all your equipment. We have over 61 years of office equipment repair experience. Our Certified Professional Technician's always provides the friendly and efficient service you deserve. Touched Be Blessed Services Inc.
We have been doing business with Weber Office Equipment for over 12 years and have appreciated the professional, courteous, prompt response to our Business needs. Even though our principal office is no longer located in Delaware County, we have sill continued to trust and rely on the Weber Office Equipment team of professionals to help us maintain the level of office equipment and technology that keeps us up to date, and competitive. We stand behind our service, sales and supplies. Closed on Sunday and All Major Holidays.